Tracy Chapman’s childhood dreams did not come true. And that’s just fine for her as well as the music-listening public. Cleveland-born Chapman, who exploded onto the scene and the charts with her eponymous 1988 debut and its unlikely hit single “Fast Car,” didn’t plan to be a pop musician. She wanted to be a veterinarian. 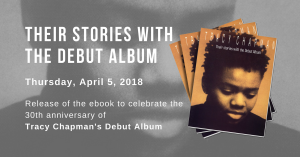 Instead, while studying anthropology at Tufts University, Chapman began to take her songwriting, which she began at age 8, and performing more seriously. She has done that and then some, releasing a handful of albums informed by folk, rock and pop and shot through with a deeply affecting honesty. The latest of these, “Let It Rain,” features the tongue-in-cheek “You’re the One,” a character study of a woman defending a lover against the attacks of her friends and family. “Let It Rain” also features the grand, gospel-influenced “Say Hallelujah,” a song, Chapman says, that was inspired by death and the family memorial services she attended in her childhood. Chapman’s experiences continue to inform her honest, moving songs. And she wouldn’t do it any other way.